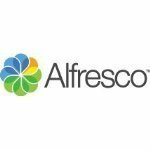 Alfresco is an Open Content Services platform for content management and simple Information Governance. Alfrescos open, modern architecture enables easy extension and customisation, while integrated records management simplifies and strengthens information governance and compliance. Alfresco Content Services with Governance Services provides an open, enterprise content Management (ECM) platform, along with Records Management and enhanced security controls. This can help drive compliance and address the needs of highly regulated industries and high-security environments. It is easy to integrate with other systems, and extend through open REST APIs and an extensive range of partner solutions. Open source, high availability Content Services platform which is easy to integrate and customize.